This is the first article of a new mini course about making a bed and dress for a tiny doll. I received a doll in a cigar box bed as a Christmas gift when I was a young child and I never forgot it. That gift was one of my favorites, ever. I was so impressed with the thought and time that went it to it, and I'm sure you, or someone you love, would be thrilled with it as well. one small doll, to fit in the cigar box when she lies down. scraps of fabric for the bedding and dress, coordinate the color of your fabric with your paint color, if you like. small paint brush, disposable foam brushes are fine. Start to think about what color you would like to make your dolls clothes and bedding in. Pink gingham in a small check works particularly well for this project. The mattress and blanket only need to be the same size as the inside of your cigar box, so scraps will be enough. 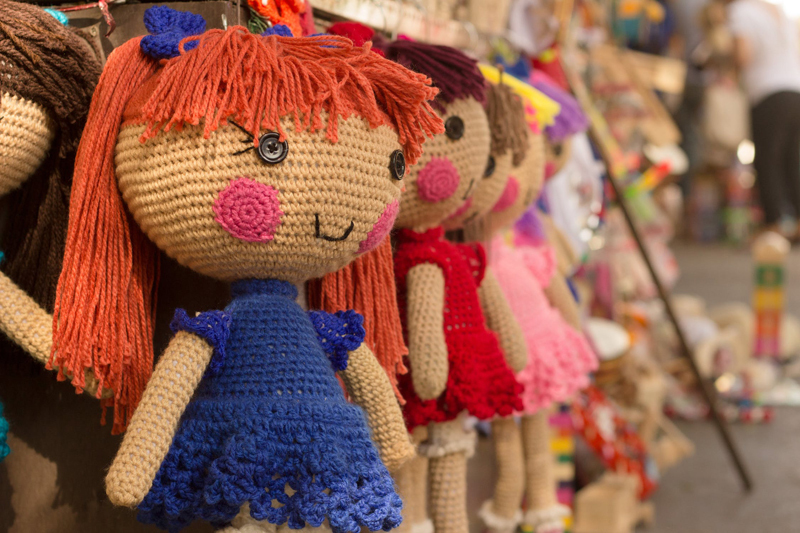 The doll is available at craft stores for about a dollar, or so. Ask at your local tobacco store if they have any empty cigar boxes they would be willing to give you, you may be able to get it free, or for a small amount of money. If you have any left over paint, any latex or acrylic paint will work. Whether it is wall paint or craft paint in the little bottles. Gather your supplies and we will begin to work on this project with next week's article, Creating a Cigar Box Doll Bed.